DTMF (Dual-tone multi-frequency) is an in-band telecommunication signaling system using the voice-frequency band over telephone lines between telephone equipment, other communications devices and switching centers. The tones are decoded on the receiving end and used for practical applications such as interacting with computer systems and answering machines. The interaction with a computer system is achieved using an IVR (Interactive voice response) system. Over a regular landline, DTMF is sent as audio signals & the tones are transmitted through the same wires that carry the voice signals. In the case of mobile phones, DTMF tones can be generated only after the connection is established. This feature is often used by call centers for gathering inputs from callers for selection of IVR menus, capturing account information for phone banking facilities and so on, however this is prone to errors such as echo or packet loss during transmission, distorting the data and making it difficult to rebuild the key press combination at the receiving end. One of the ways our clients use the Last mile delivery solution is by triggering calls programmatically via the ExoPhone,digits# tuple (Ex: 08033013302,12345#) & often times, we see them reach out to us inquiring as to why DTMF doesn’t always get captured. 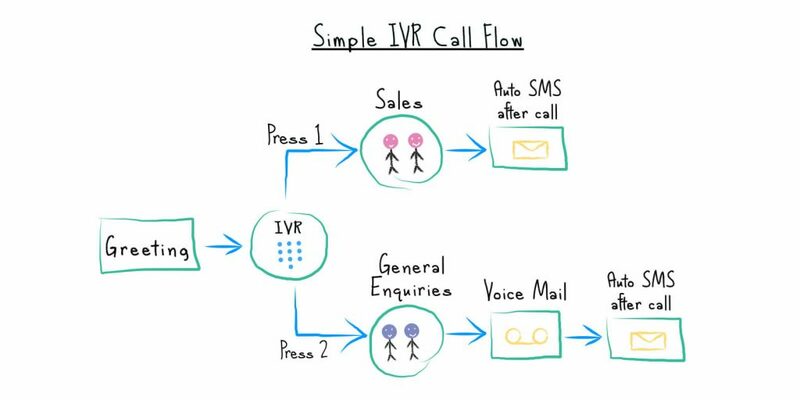 Note that while these call flows always start with a Gather applet, the way DTMF works and what have been our findings will hold good even for the normal IVR use-cases as well. DTMF issues exist in all the networks where there is an intermixing of IP network and pure PSTN (Public switched telephone network) network. In India, most of the calls use both networks, hence issues with DTMF capture might be more. Currently, some of the calls from our primary operator take routes through NGN (Next-generation Network) which is IP based and they may be able to minimize DTMF issues by changing the route to a complete TDMA (Time-division multiple access) network. We’re working with our operators too to ensure they’re doing everything they can to mitigate this but this is a work in continuity. While there isn’t a permanent solution to fix all of DTMF constraints given that there are multiple point of failures (viz. operator, handset as well as platform), do please write to us at hello@exotel.in with your inquiries on this, so we may help explore alternatives based on your use-case.